When I think of fall I always think of pumpkin. 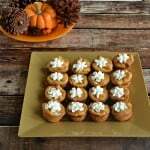 There are so many delicious recipes using pumpkin but I’m sure the most famous is the Pumpkin Pie. It’s something that most people have at least once during the holiday season and I think it’s most common to serve on Thanksgiving. Several years ago we had a Thanksgiving that didn’t include pumpkin pie. You would have thought it was the end of the world because there was no pumpkin pie at the end of the meal. Never mind that there were cakes, cookies, and other pies; certain members of my family were losing their minds because of the lack of pumpkin pie. 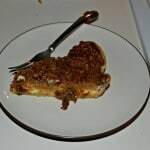 I decided right then and there I would always make a pumpkin pie for Thanksgiving and I have been making them ever since. So since it’s time for my behavioral reward at school and the theme is Thanksgiving I wanted to take in a pumpkin pie. In years past the pie has either been a huge hit or the students refuse to eat it. This year I decided to make a pumpkin pie but with a twist. 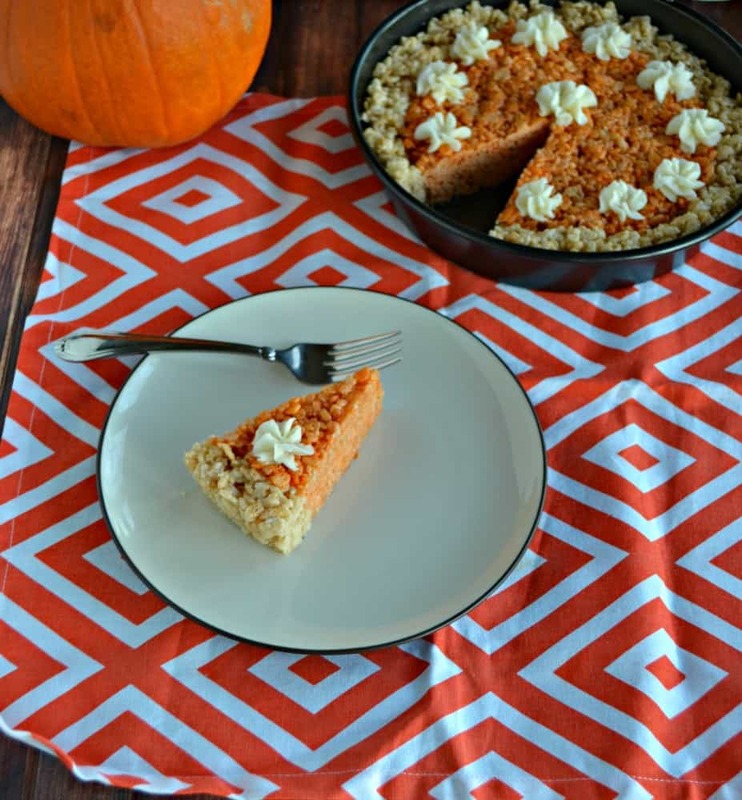 This year I actually made the pumpkin pie out of Rice Krispies! It’s super easy to make two batches of Rice Krispies treats for this recipe. The first batch is a regular batch that is shaped into a crust around the outside of a pie pan. The second batch is dyed with orange food coloring and is spiced with pumpkin pie spice. There is no actual pumpkin in the “pie” but the spices fool people into thinking there is pumpkin in it. I actually made one a few weeks ago and took it in to see how the teachers liked it. It was a huge hit and the teachers kept asking if there was pumpkin in it. 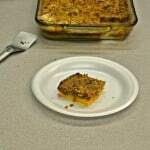 I confided that it was simply the spices making it seem like there was pumpkin in it. The last thing I put on top was a dollop of buttercream frosting that looked like whipped cream. It is such a cute (and super easy!) 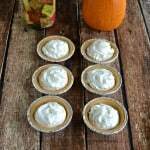 holiday dessert recipe. 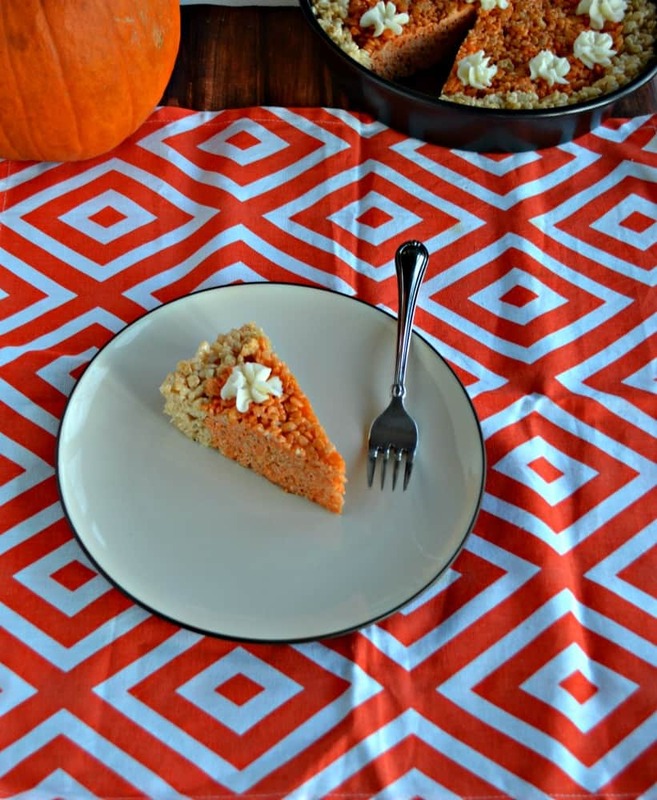 Don't like pumpkin pie? 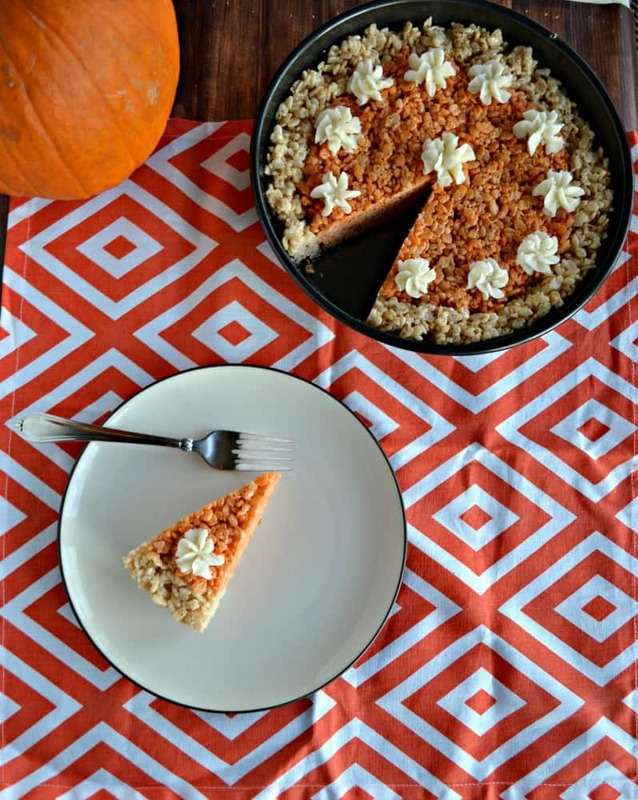 No one can resist this fun and delicious Pumpkin Pie made out of Rice Krispies Treats! Spray a 9 inch cake pan with cooking spray and set aside. Place the butter in a medium saucepan over medium heat. Once it has melted add the marshmallows and vanilla and cook, stirring frequently, until everything is melted and combined. Remove from heat and stir in the Rice Krispies. 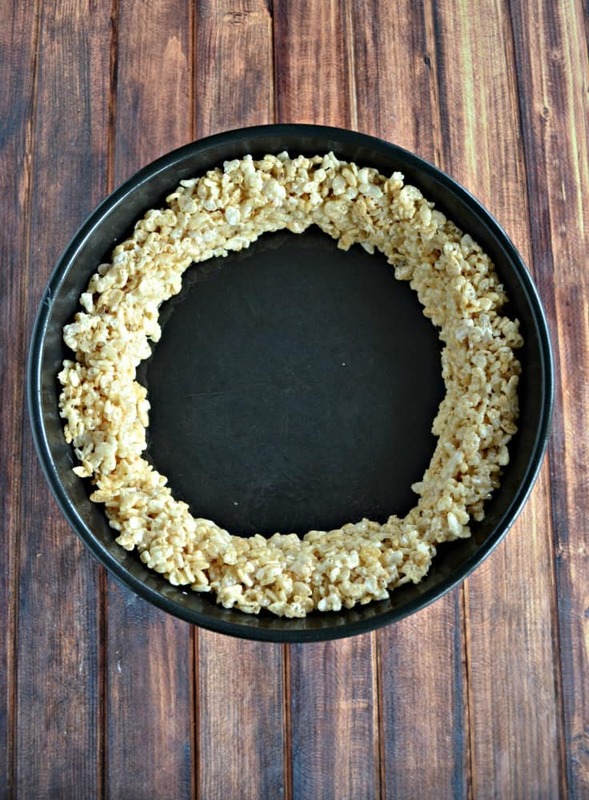 Spoon the Rice Krispies treats around the edge of the prepared cake pan. Spray your hands with cooking spray and press the treats against the edge to form a 1 inch crust. Allow to cool for 10 minutes. To make the filling Place the butter in a medium saucepan over medium heat. Once it has melted add the marshmallows and cook, stirring frequently, until they have melted. Stir in the pumpkin pie spice and food coloring and mix well. 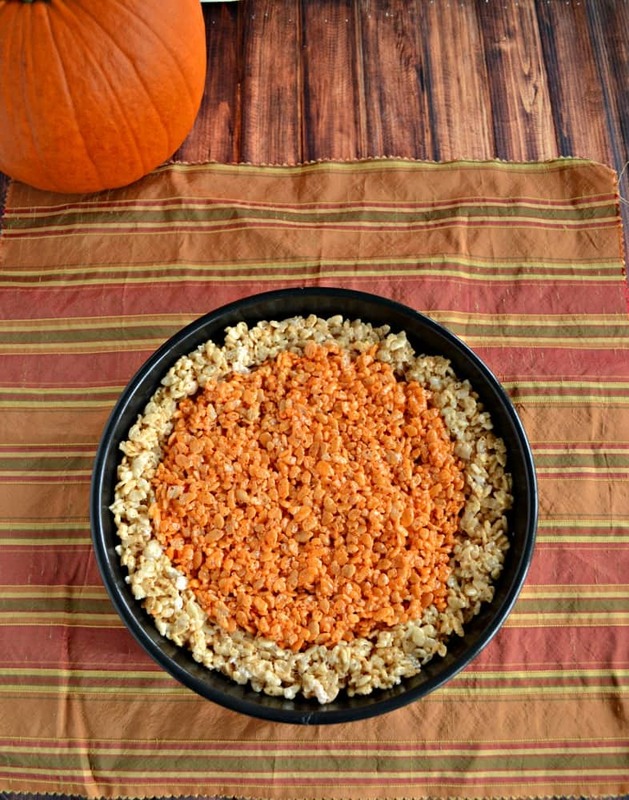 Spoon the orange Rice Krispies treats into the center of the pan and push it down to fill in the center of the pan. Allow it to cool completely. To make the topping combine the butter and vanilla in a bowl and mix until smooth. Add in the powdered sugar ¼ of a cup at a time until desired consistency is reached. Pipe the frosting onto the pieces to make "whipped cream".